Heard of Namibia? If not, we forgive you. If you have, it might bring to mind rolling sand dunes and wide open spaces. On the far south west of Africa lies Namibia. It borders South Africa, Angola, Botswana, Zambia and a tiny bit of Zimbabwe, as well as the Atlantic Ocean. 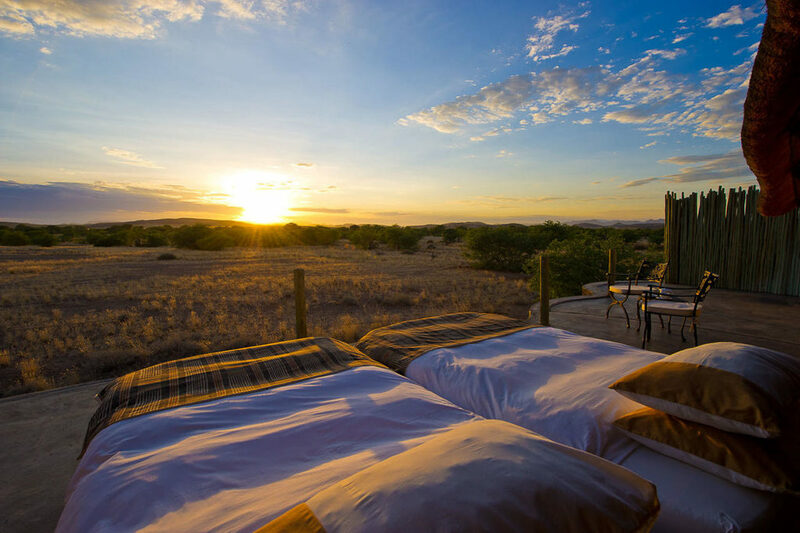 It’s one of the most sparsely populated countries in the world, with far more animals than people, making it a wonderful place to go on safari! Here are our top 5 reasons to visit Namibia. Sossusvlei Desert Lodge’s red rolling dunes. Along the Skeleton Coast, the dunes of the Namib Desert seem to flow with great waves of rolling sand that undulate across the landscape ending in the waves of the ocean. The Skeleton Coast is full of visual drama and history. So-called because of the large numbers of shipwrecks along the coast, and the sure death faced by shipwrecked sailors who made it to the shore. In the early 1900s, diamonds were discovered just outside the German town of Luderitz in southern then South-West Africa (now Namibia). 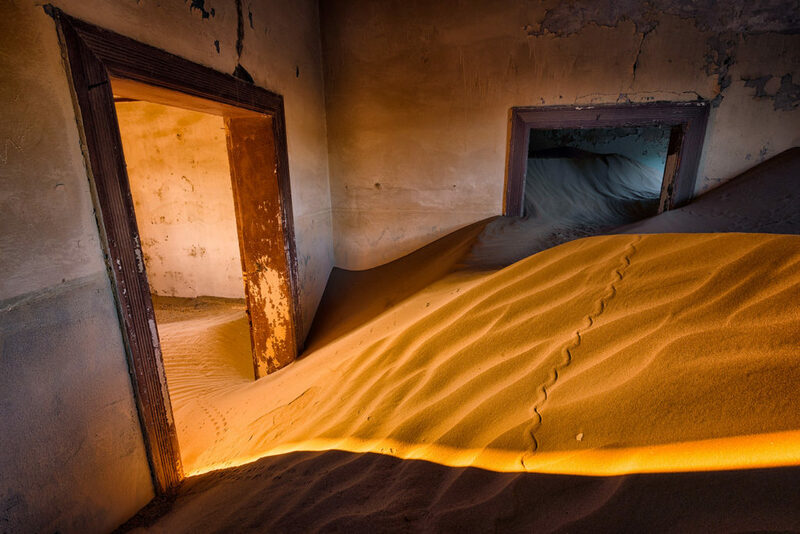 Within a few years, the town of Kolmanskop was established to house the many who flocked in to gather the diamonds that just lay within the rolling sand dunes. The diamonds meant that this little town could afford all the European luxuries, and was home to a pub, a bowling alley and elaborate houses for the town’s leaders. By the early 1930s, the town was in decline and in 1956 the last three families left. Some left the town in a rush, leaving all their possessions behind, while others left more gracefully. What’s left is a monument to the diamond boom and a town that is slowly being reclaimed by the local sand dunes and an incredible place to visit. 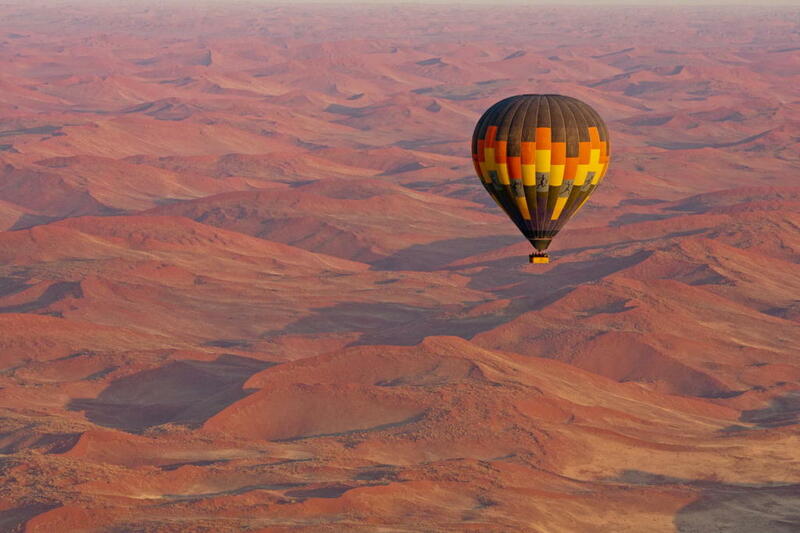 Hot air balloon from Little Kulala, Sossusvlei. Between game parks, national parks and conservancies, 18% of Namibian land is protected. Some land is set aside for the animals that live there, and others are protected for the incredible landscapes. There are a couple of hot springs — at Ai-Ais and Gross-Barman; the towering sand dunes at Sossusvlei in the Namib-Nauklauft; lion, cheetah, leopard, elephant and African wild dog in the seldom-visited Kaudum National Park; and you can find rhino, desert elephants and lion at the Kunene River mouth in the Skeleton Coast Park. Namibia was a German colony from about 1855 until it became part of South Africa in 1915, and achieved independence in just 1990! 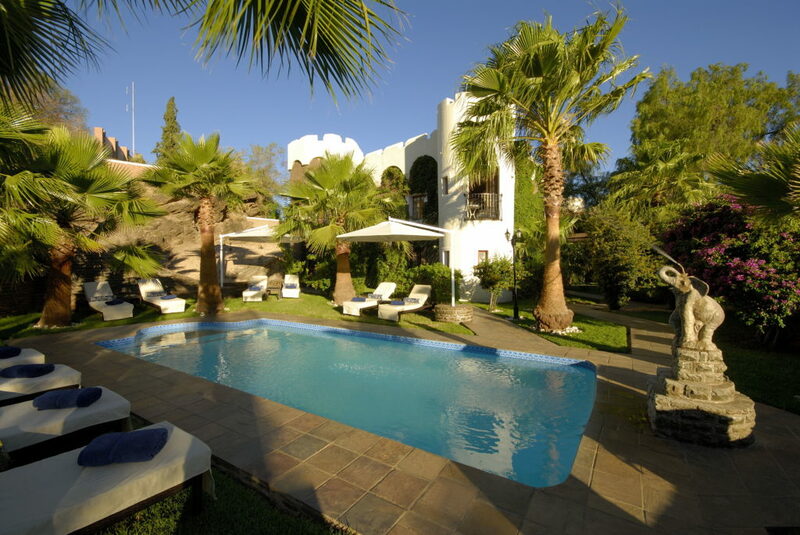 Many of the larger cities and towns of modern Namibia are former German colonies, like Windhoek and Swakopmund. Buildings and city areas are named in German, and German food and bakeries can be found all over the country. German and English are spoken widely, and most cities are neat and clean. The desert is an ideal climate for preserving traces of ancient humanity. Across Namibia, rock art can be found and traced back to the ancient peoples who roamed this desert country for hundreds of years before colonists landed there. Namibia is named after the Nama or Damara people who have lived in the desert for generations. Visitors can see rock art from several lodges, as well as learn more about the Nama/Damara people and their culture. Namibia is a land of stark contrast. Beautiful green cities and rolling red sand dunes co-exist far more peacefully than you might imagine. Hot springs emerge in places you would never think they could exist, and diamonds have been found just lying in the sand. These intense contrasts are one of the things that make Namibia a place that people keep going back to. So watch out, you might leave a piece of your heart there. Sigrid is a freelance writer based in sunny Cape Town. After spending her childhood emigrating across 3 continents, she has spent much of her adult life travelling too. These days, she spends her time writing about health, food, life, travel and everything in between.